Make payments from your phone! 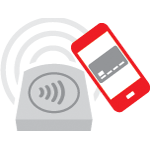 You can use your mobile phone to make payWave payments on a device of your choice. Check out the tabs for your suitable device. 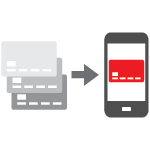 Digital wallet makes payments simple, easy and fast! Google PayTM is the fast, simple way to pay with Google. Download Google Pay and add your LCU Visa card to start making simple, secure purchases today.